Not too long ago I was in the area around the Madison Audubon Goose Pond Sanctuary. It was my first time there and it was a very windy day. I ended up driving around a bit eventually finding a parking lot that had a sign that said that it led to a bench with an overview among other things. I wasn’t feeling particularly well and plopping on a bench for a bit resonated with my energy level so I grabbed my camera and walked down and very, very easy path a few hundred feet from the road where I did indeed find a bench. The bench was quite comfortable and aside from the strong winds it was a nice day so I parked myself on the bench. I figured the chances were small that I was going to see much if any wildlife (the bench is more or less on top of a hill and makes no claim to being a “blind”. My guess was right – he only wildlife I saw were crickets, a nondescript caterpillar and a few geese flying in the distance. What I did see was some interesting Wisconsin landscapes. This photo is one of them. I just really liked the old silo with the new roof above the old building in the foreground (also new roof) and both of them adjacent to part of the barn with its roof literally falling to pieces – lower left. I recently visited the Cave of the Mounds, which is a limestone cave located near Blue Mounds, Wisconsin. The cave is a designated as a National Natural Landmark, which is a program that recognizes the best examples of biological and geological features of the country in both public and private ownership. 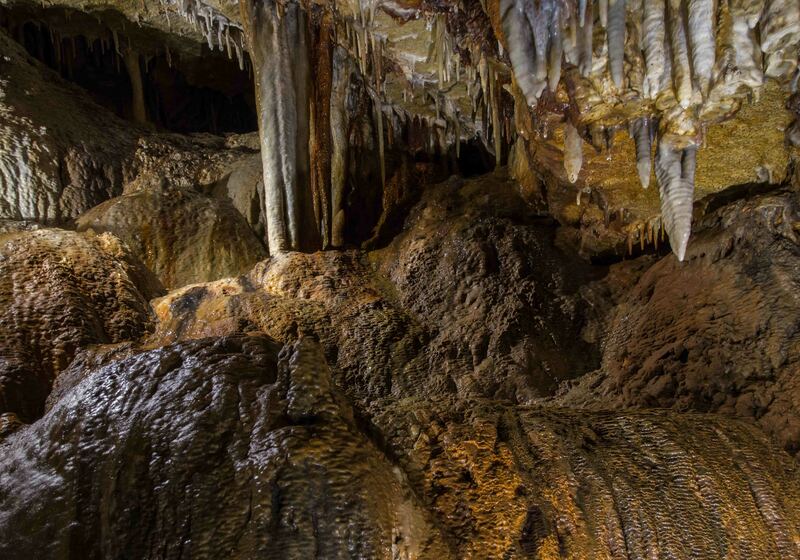 As with most caves, stalactites and stalagmites are common but the cave has a number of other formations many of which are quite colorful and are the reason why the cave has long been promoted as the “jewel box” of major American caves. 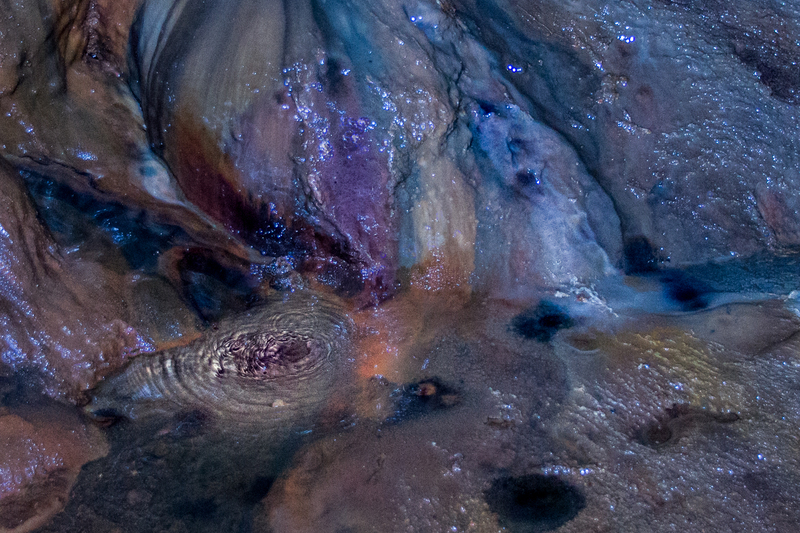 The first photo shows a detail of a large flowstone formation: a small pool of water resting on the unusually colorful flowstone surface just after a water drop has hit the surface of the pool. 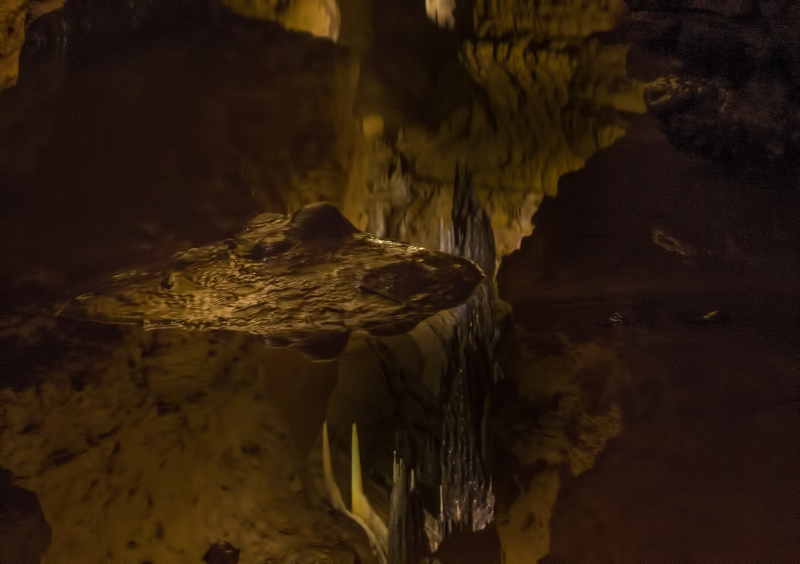 In the following photo stalactites hang above a flow stone formation. Here a large stalactite reaches down towards a stalagmite. 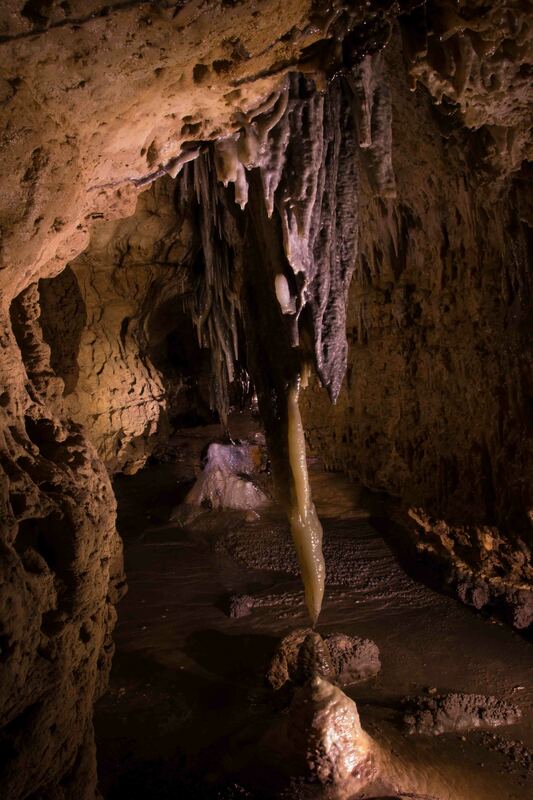 This photo shows the joining of a stalactite and a stalagmite. 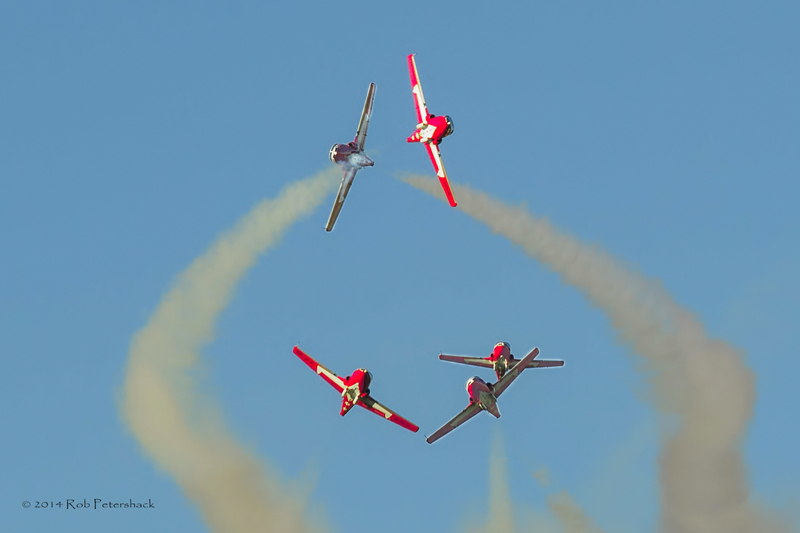 Finally, here is a “lily pad” formation. Lily pads are created when water droplets fall into a puddle and create a formation that appears to float on top of the water in the puddle. 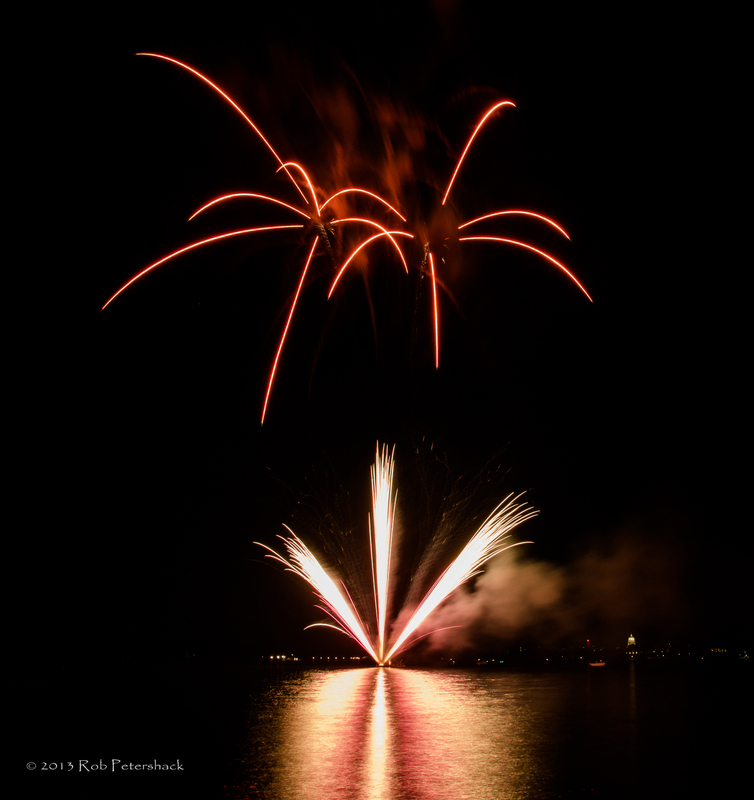 I have two contributions to this week’ s Weekly Photo Challenge: Split Second Story. 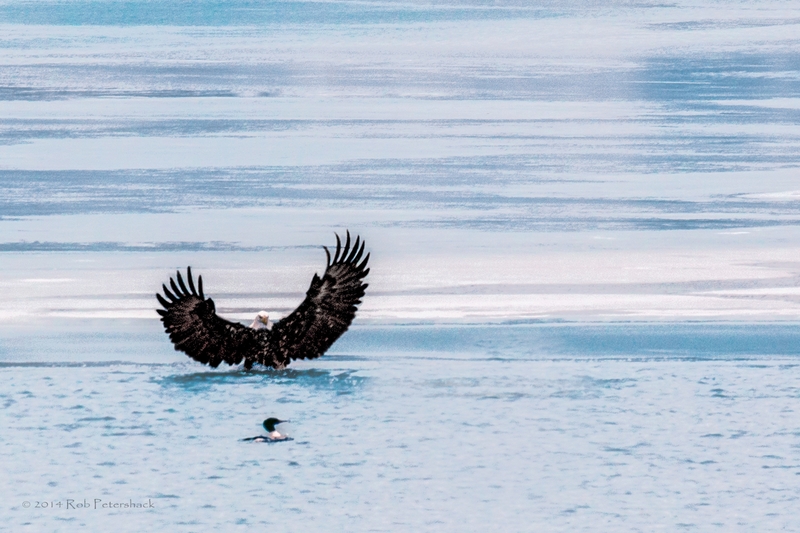 My first involves the immature Bald Eagle shown here and the split second is a very small fraction of one as the eagle is poised to strike the water hoping to catch its primary food source, a fish. This eagle was successful but somewhere between 80%-90% of such efforts are not. 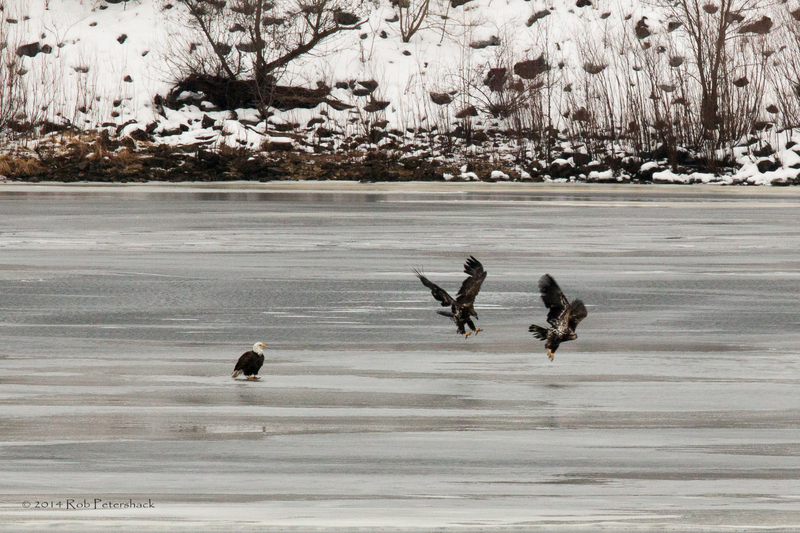 Here are three more photos of bald eagles from my recent trip to photograph them on the Wisconsin River. In the first photo, a mature bald eagle (mom or dad?) watches while two immature eagles appear to be engaged in some type of dominance play. 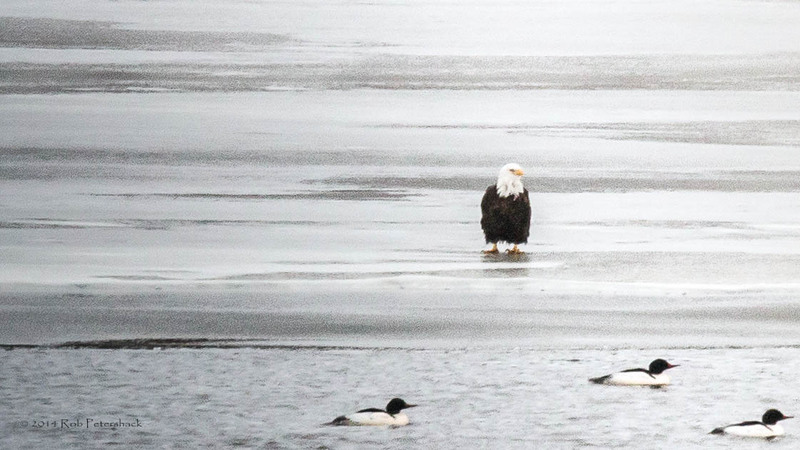 In the photo below, the bald eagle has just touched the water a few feet from the end of the ice that extends from shore in order to pluck a fish from the river. A duck swimming by observes the moment. 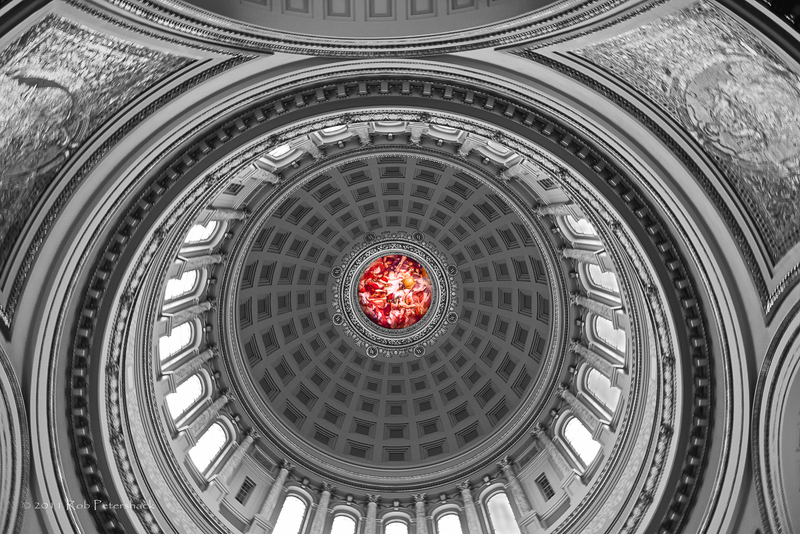 This photo required some digital manipulation because it was just a small portion of the original image and it was a little pout of focus. During that process I decided to make it more blue than it actually was in the original photo. 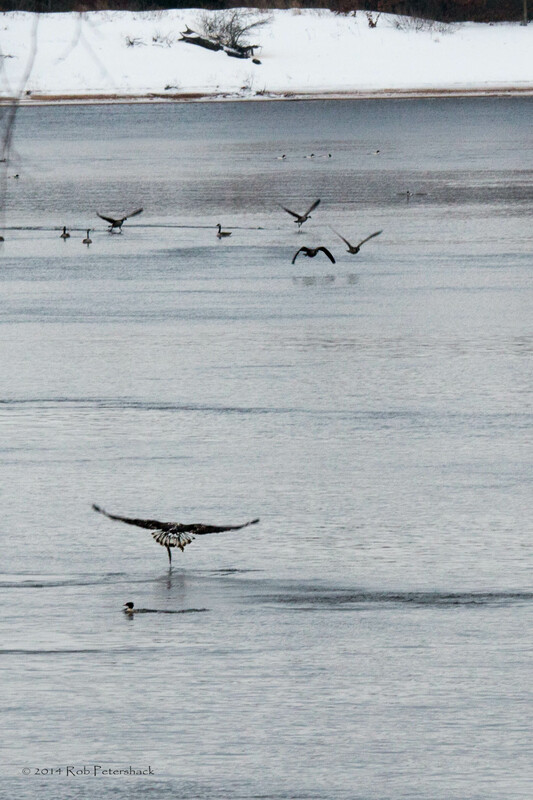 In the third photo, an immature bald eagle flies across the Wisconsin River. 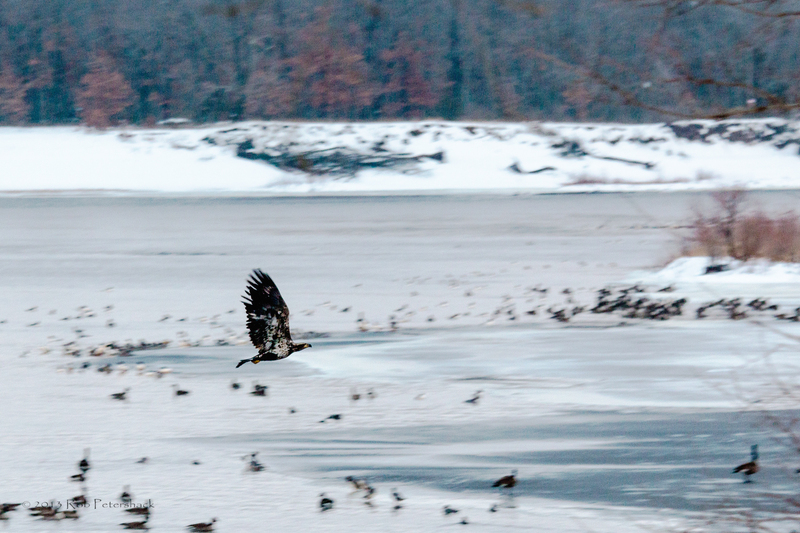 More photos of bald eagles on the Wisconsin River. 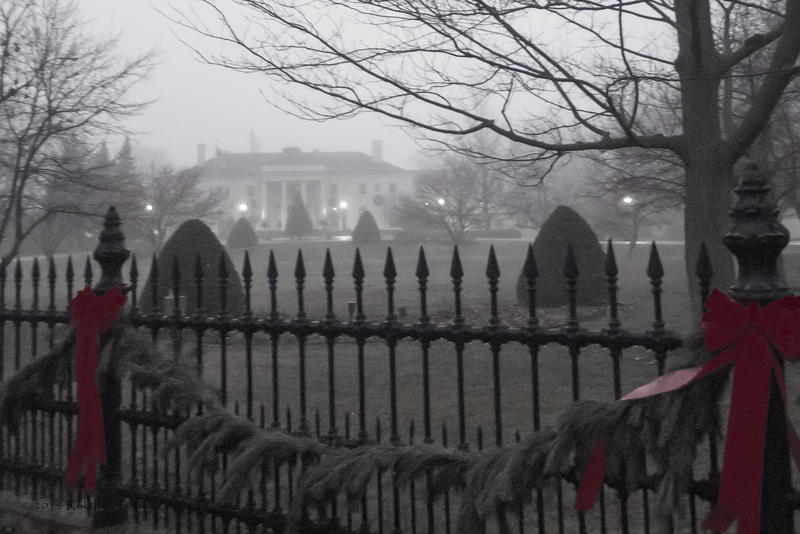 It was a great day to be out taking pictures – overcast, but not too cold (about 34 degrees). 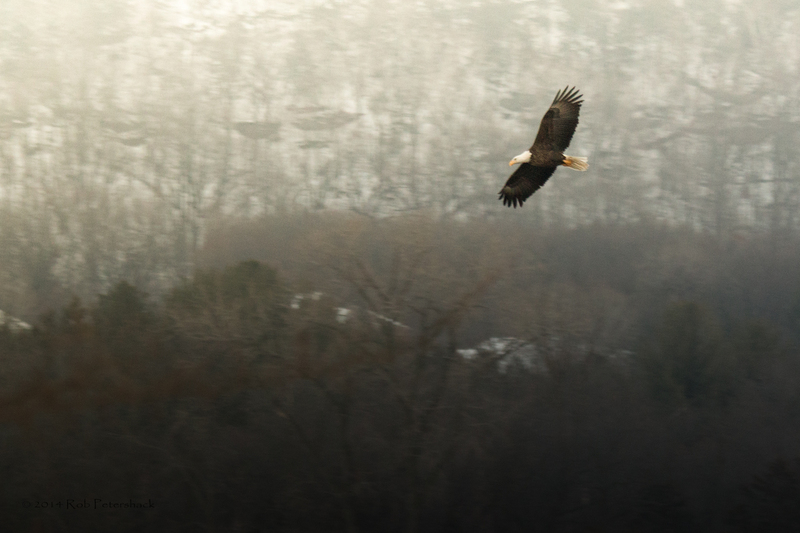 I would guess there were about 45-55 different bald eagles over the period that I was photographing them. 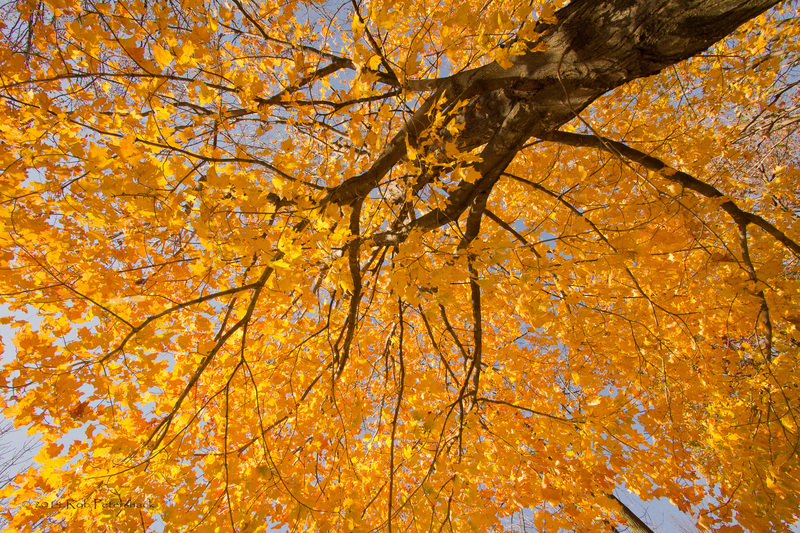 I was using a Canon 70D with a 70-200mm f/4L IS USM zoom and 1.4x III extender (effective 280 focal length). 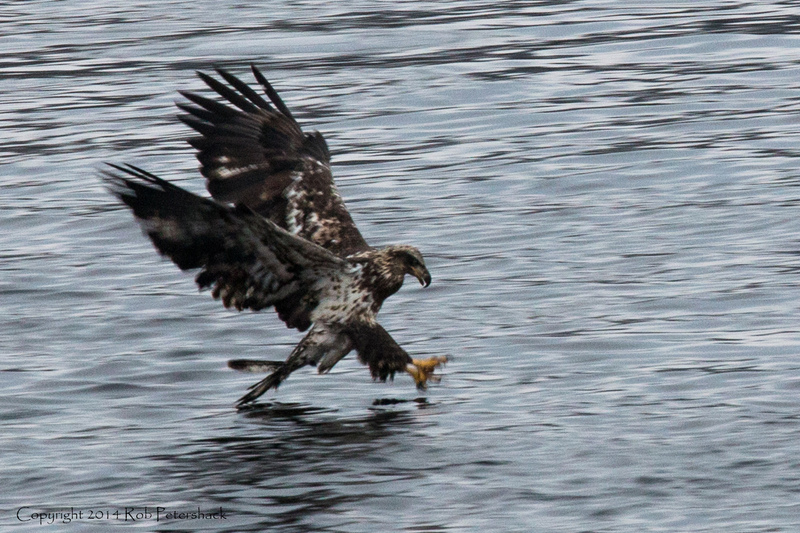 This photo is of an immature bald eagle just after picking up a fish. The splash on the left is a duck diving for cover (unnecessarily, but not surprisingly). 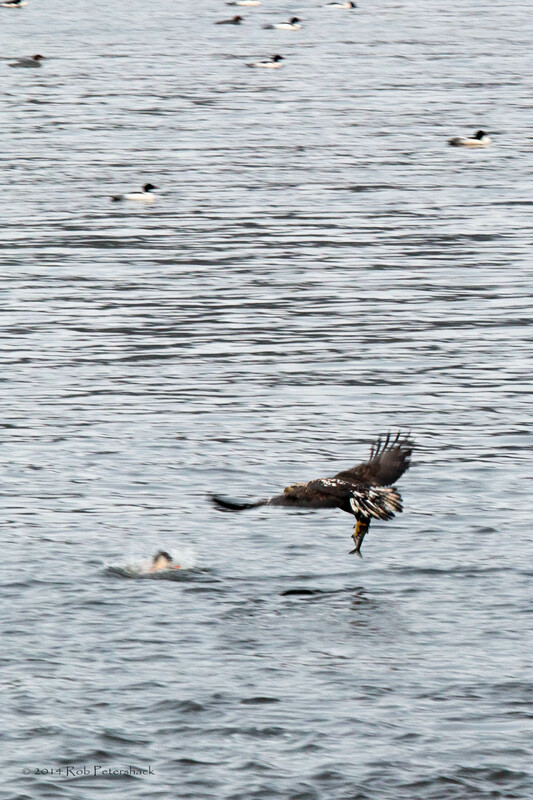 The next photo is of an immature bald eagle just before picking up a fish. The view is from behind the eagle. I am not at all knowledgeable about bald eagles compared to the people who have worked with them and/or photographed them for many, many years. I say this as a lead in to the photo below, which I am pretty sure was a very bad thing but I hope someone will correct me and made my day. 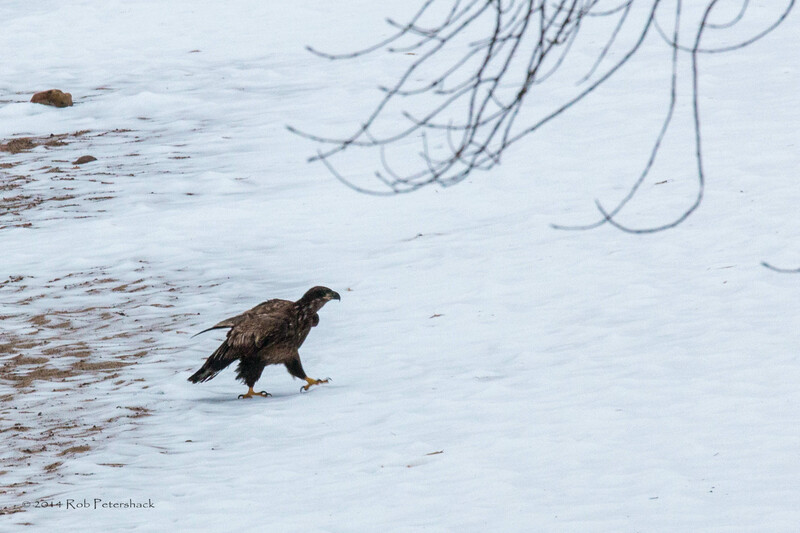 The photo below is of a small immature bald eagle walking on the shore of the Wisconsin River. I can’t think of a lot of reasons why a little bald eagle would be down there and none of what I could come up with was good, but I would appreciate any enlightenment. Finally this particular bald eagle spent a whole lot of time just standing on the ice out in the river. It didn’t really do much except look back and forth, turn around a couple of times and have a couple of juvenile birds stop in for brief visits and a squabble (must be a parent). I just happen to like this photo.